People spent hours standing in long queues outside nominated HBL branches but only a few fortunate ones were able to get forms from the banks. A large number of people failed to get forms from the banks due to the worst example of black marketing observed outside and inside HBL branches. In many cities including Islamabad, forms were available to general public for just one day which reveals the intentional support to black marketing. Forms originally issued at PKR 1000/- have been selling at as high as PKR 40,000/- in various cities across the country. Majority of people couldn’t understand the reason why a blank form would cost so high. The professional gamblers started hoarding large number of these registration forms through various sources including HBL bank branches, which created shortage of forms and then trading started at high prices. Gamblers followed the same strategy which they used for Bahria Town Karachi forms and no action was taken from the sponsors or civic authorities to curb these practices. 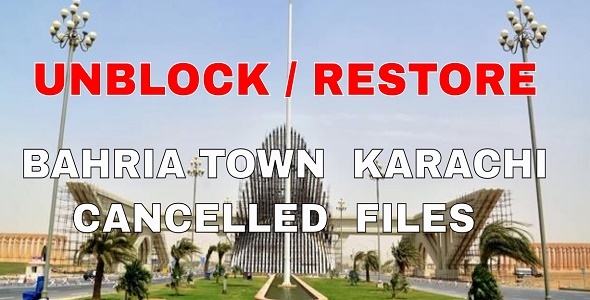 There were rumors of some sort of connection between Bahria Town and Fazaia Housing Scheme due to the same marketing pattern and the number of dealers from bahria town involved in the game, but Bahria Town has strongly snubbed this rumor through public notices that it has no connections whatsoever with the Fazaia Housing Scheme Karachi. Air Chief has been reportedly asked to intervene in the black marketing of these registration forms of Fazaia Housing Scheme which has damaged the good reputation of the institution of Pak Fazaia, but the trend seems to be going on uninterrupted across the country. There are expectations that trading of these forms will continue after the registrations are closed and forms will be opened for easy trading in the market. The deadline for submission of these registration forms is also helping black marketers since people have no other choice but to buy at high price and submit on time otherwise they will lose the opportunity. The deadline for submission is 26th March 2015. Please note that this deadline applies to the forms given to Civilians, PAF personnel received same forms for PKR 500/- and their last submission date is somewhere in April.